The Mercedes-Benz C-Class cars offer the Benz experience for the price of a Toyota Camry, which is why they are the company's best-selling line. The C-Class starts at less than $27,000 for C230 coupe, but the line is perhaps best represented by the C320 sedan ($37,630). It's a pleasure to drive, with its smooth, powerful engine, responsive automatic transmission and classic Mercedes balance of ride quality and handling. Inside, it looks and, for the most part, feels like a Mercedes-Benz, with firm, supportive seats and mostly high-quality materials. Meanwhile, the price-leading C230 sport coupe continues to attract first-time Mercedes buyers with its sportiness, practicality, features and that three-pointed star on the grille. The pinnacle of the C-Class line, at least from a performance standpoint, is the limited-production C32 AMG sedan ($51,200). 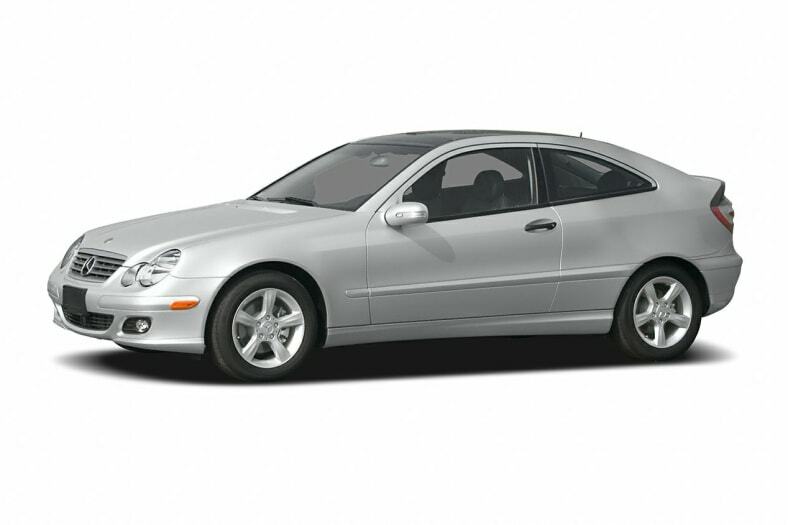 For 2004, Mercedes has focused improvements on the sportier models. The sport sedans get a healthy dose of performance and styling updates, including a lower ride height, upgraded brakes, a short-throw shifter and unique interior features to further distinguish them from the standard sedans. The sport coupes benefit from similar interior changes, and now come standard with 17-inch alloy wheels and high-performance tires. On the standard sedans and wagons, the 4MATIC all-wheel-drive has been packaged with heated seats for a savings of $1,250 compared to 2003. The C-Class has good bones, with exterior styling inspired by the big, luxurious S-Class, technology shared with the E-Class, and an interior design all its own. Every model, starting with the less-expensive coupes, comes standard with a full-complement of airbags and Mercedes' Electronic Stability Program skid-control system. While this is Mercedes' least expensive line in the United States, you'll still pay a premium for the three-pointed star. Comparably equipped C-Class sedans are priced slightly higher than BMW's 3 Series and substantially higher than Audi's A4 models. If it's a sports sedan you seek, you might still consider Audi or BMW. But if you want Mercedes-Benz engineering, design strengths and mystique in a solid, mainstream sedan, it doesn't get anymore accessible than the C-Class, and the C320 sedan represents the best of this.